Hunger affects a person throughout the day. Researchers found that people are more focused on food when hungry. Food attracts most people with empty or half-hull stomach. Not only food, even words related to food attract people who are hungry. Do you often end up buying calorie rich snacks or foods on shopping while you are hungry? Well, it may sound crazy however its appears that hunger dominates a person more than we ever may have thought of. If you don't think it's even possible, here is something you should know about. 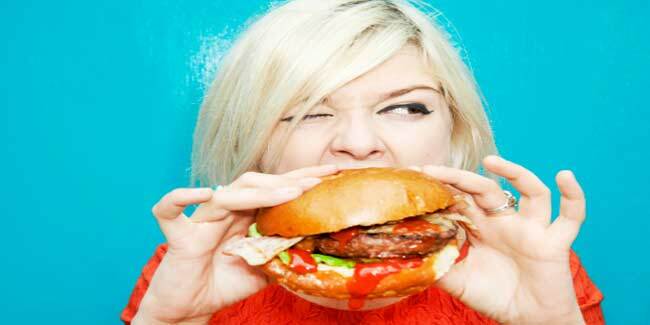 According to a new research, your hunger has direct effect on how you look at everyday situations. The study, published in Psychological Science, found that hungry people focus on food words more clearly than others do. Researchers asked 42 students to arrive at the venue where research was to be conducted noon at least 3-4 hours of not eating. Some of them were told to come back in 10 minutes while some were told to come back after having lunch. The participants were then asked to look at a computer screen where they were shown 80 words for 1/300th of a second, which is way too less time for anyone to read the words. After every word, they were asked to pick the word they had seen and how bright it appeared. People who were hungry identified the words related to food more quickly than those who had lunch before the experiment. According to researchers, students who were hungry used instinctual perception before higher parts of the brain had a chance to modify or change the messages coming from eyes. So next time you find yourself interested in anything related to food blame it on your hunger and believe that anyone around you who is also hungry must be doing the same.